WordPress is a very popular for its innovation and modish look that user really want to see and experience in the website. There are large number of blog, personal, business or free magazine WordPress themes in the repository. These themes are clean, clear and attractive. WordPress is the most powerful and well manage platform to create a website. There are lots of free WordPress themes available with awesome layouts. These free WordPress themes provide better functionality that a paid theme can offer. Mostly user like WordPress because it is trouble free and easy to set up. WordPress is very easy to create business, blog, portfolio, corporate and any other kind of site. These free WordPress themes are perfect for bloggers, hobbyists and new beginners who start there online journey. These WordPress themes are ultra responsive that will fit for mobile and smartphones. If you want to start new business, blog or personal website within a budget than free WordPress themes are very good approach. Despite this myth that free WordPress themes are low quality and unprofessional. We found free WordPress themes are high quality, powerful, robust, elegant and professional. There are thousands of marvellous free WordPress themes available with amazing features of all type of industries. Now we decide to collect some magnificent superior free WordPress themes on hand. These free WordPress themes include modern typography, attractive design and astonishing features that will certainly amazed you. One page theme can be constructive framework and it is trendy in web site these days because it is perfect for any kind of business, portfolio, ecommerce, photography, travel, corporate. Eleganto is one of the classy one page free WordPress theme with full-width image and beautiful color menu bar. 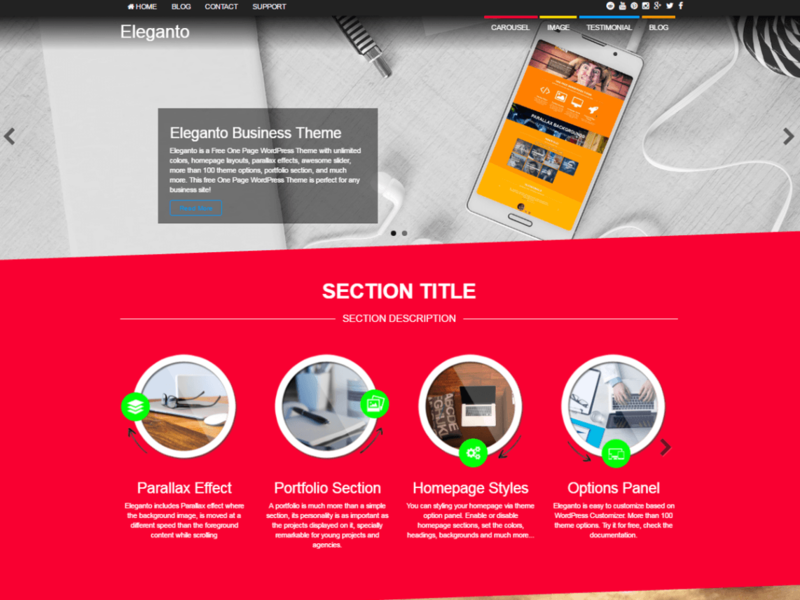 Eleganto is suitable for business and corporate websites. Eleganto is fully responsive one page theme includes unlimited color options, sticky menu, left or right sidebars with five size options, social links, with cool look testimonials, five portfolios, animations and much more. 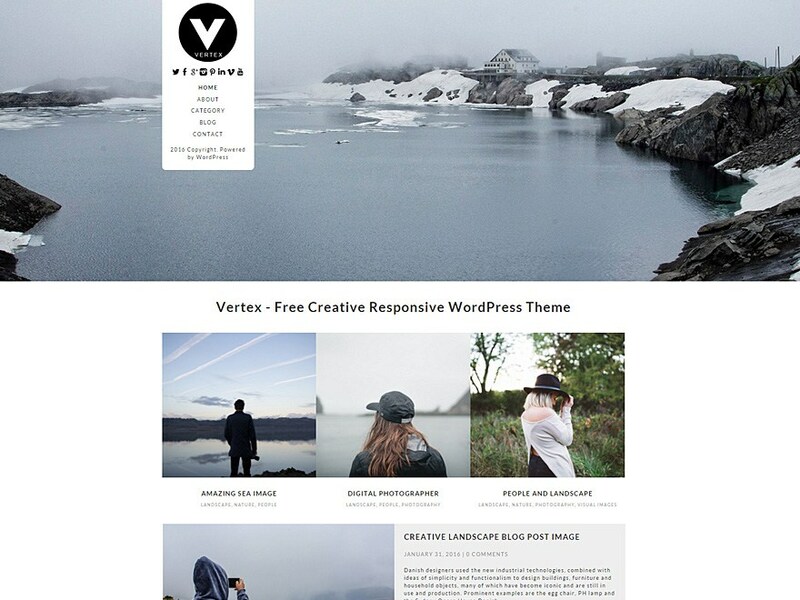 Vertex is a beautiful, sophisticated free blog WordPress theme. This product design is clean and clear. It provides premium functionality and magnificent support. This free WordPress theme is made to compatible with any kind of blog like personal, fashion, creative, travel, real estate etc. Vertex is very responsive and powerful free multipurpose blog WordPress theme include a bundle of great features. Monograph is a perfect free magazine theme. It has elegant and modern look. It is ideal for blogging platforms. 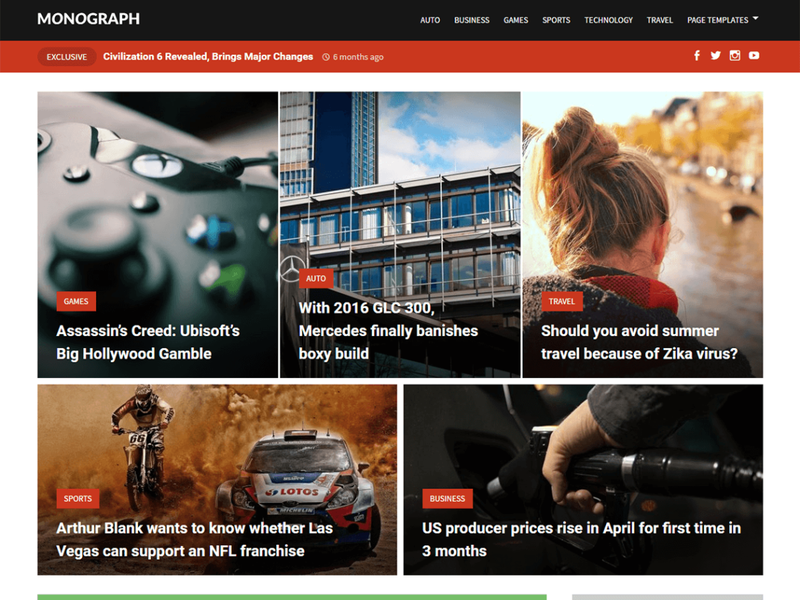 Monograph is a free WordPress theme that display posts in a 2-columns grid. Monograph has a lot of awesome features. Front page gives the facility to highlight post as well as features up to five different categories. 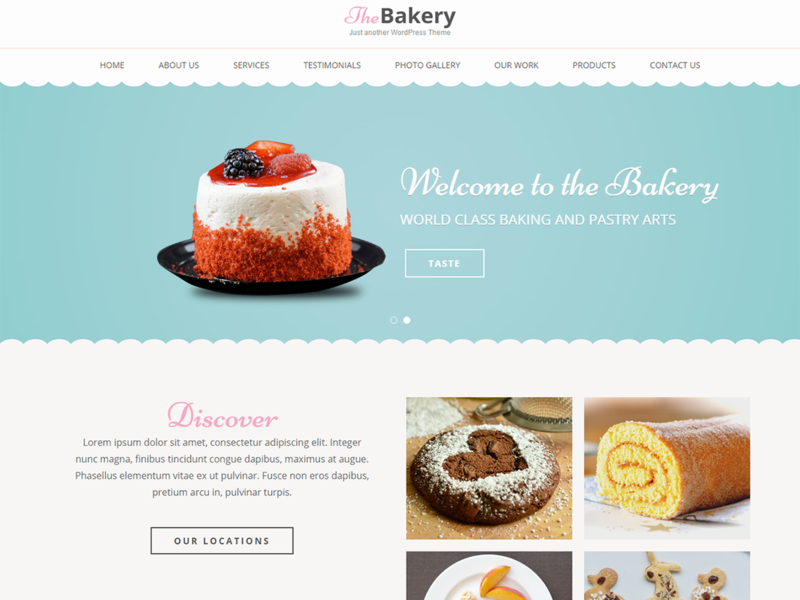 Bakes and cakes is a refined and beautiful designed theme. It is ideal for food blogging. It helps you to create easily professional and attractive websites for your restaurants, bakery and cafe. It gives your blog clean and modern look. Bakes and cakes is SEO friendly theme. It has optimized code which help to make rank of your site on other search engine and google also. Bakes and cakes has many nice features to make impressive, adaptive and user friendly website. It is also WooCommerce compatible WordPress theme. Plato is a unique and nice design theme. It is informal, one page free WordPress theme. It is ideal for corporate and startup businesses. It is fully responsive theme. It has bundle of awesome and new features. 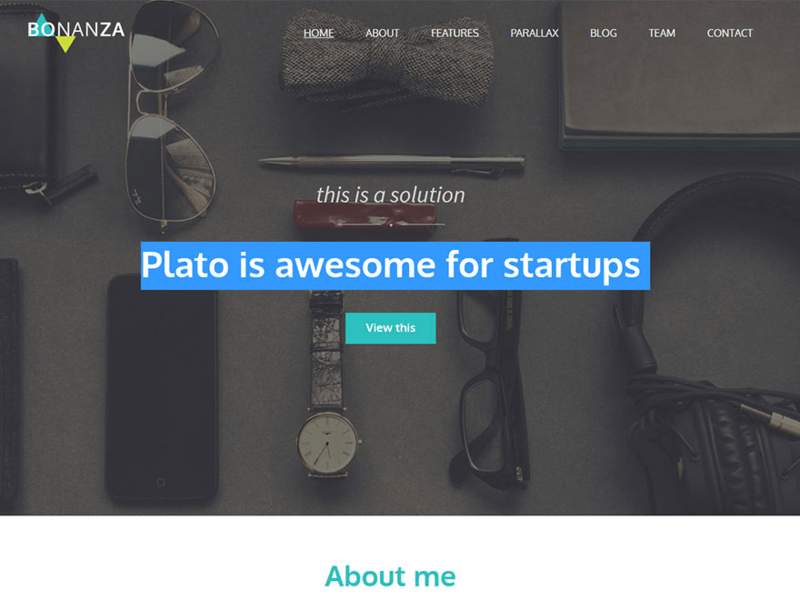 In plato we can built front page completely from the customizer. Some other exciting features are custom menus and custom header. Plato has the ability to generate elegant front page. You can enhance the look of your website by changing the background image or color. 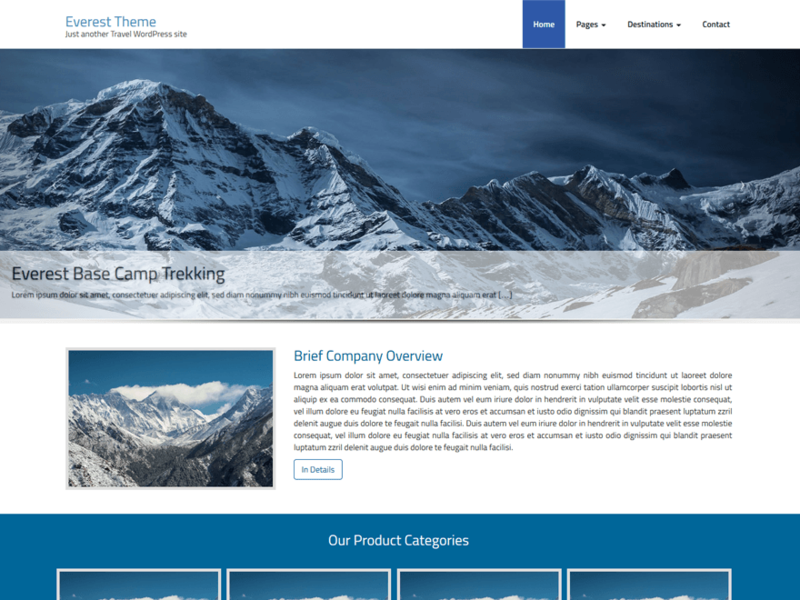 Everest64 is a carefully constructed, polished, thoughtfully professional designed theme. It is very responsive free WordPress theme. It is clean, attractive and multipurpose free WordPress theme. It can be useful for trekking companies, agencies websites. It is a perfect theme with awesome functionality to develop all kind of travel journal, travels and tours website. Everest64 free WordPress theme has been based in Bootstrap framework. Some other dazzling features include right sidebar layout, home page template layout, full width layout and contact page. 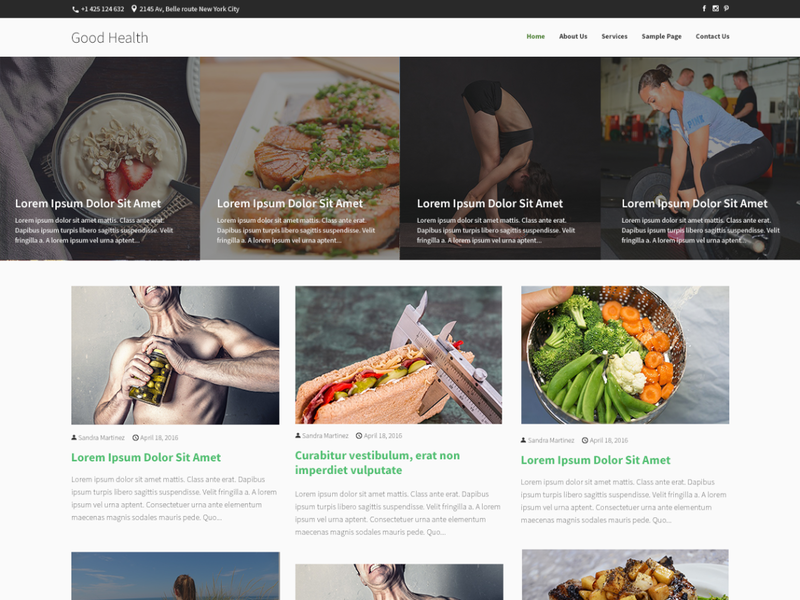 Good health is a versatile and amazingly flexible free WordPress theme. It has clean and modern look. It is ideal theme constructed for personal health and fitness blogging. You can use it for multipurpose blog also. It includes astonishing features like business information in header and different home page templates. Last but not least good health free WordPress theme has fun masonry style blog layout. 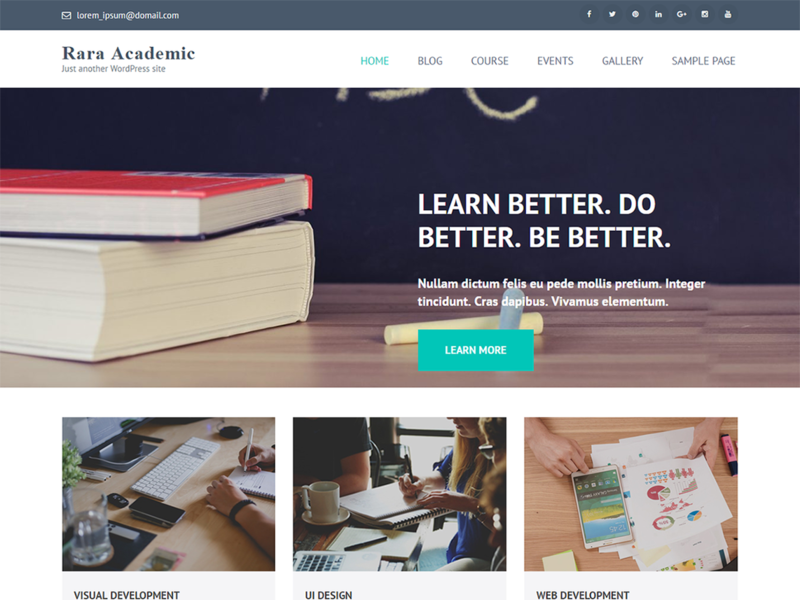 Rara academic is a marvelous learning theme. It is well designed, well developed and crafted free WordPress theme. Rara academic is more preferable for many professionals educational theme. This product is very good solution for LMS, collage and all kinds of specialized learning center. It is a perfect choice to impress your customers and will meet your expectation. It is readily responsive WordPress multipurpose theme. It is SEO friendly. This theme has extensive documentation. It will help you to setup theme easily. Some other brilliant features are two column, footer widgets, custom menu and last but not least translation ready. 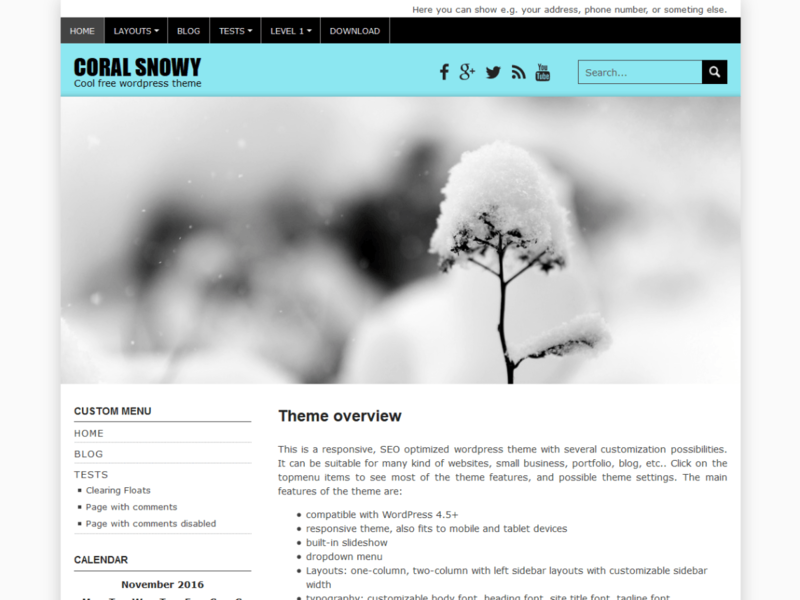 Coral snowy is a fresh, versatile and gorgeous WordPress theme. It has a bundle of professional features in a zero price. It is ideal to quickly construct an awesome business website. It is free responsive theme which is compatible with all other devices. It has one column or two column layout. It has nice looking built-in slideshow. Some other impressive features are SEO optimization, custom logo, custom menu, translation ready and much more. Skyhead is a unique, incredible free WordPress theme. It is a breakthrough and robust WordPress theme to support mobile app and web app. It is also useful for various kinds of startup and marketing website. This sparking, clean and elegant product is fully responsive. It’s design is so professional. It is eye catching app theme. It is easy to use theme, SEO optimized thme with several awesome features like customizer API, custom logo, full width template and many more. It also supports many popular plugins. 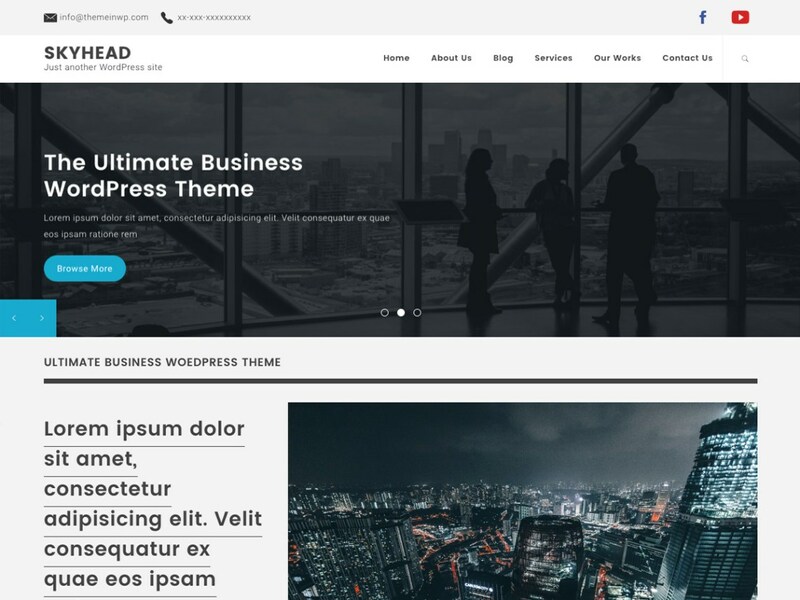 Skyhead is translation ready free WordPress theme.